Kudzu was introduced to the southern United States in the 1930s to help restore the soil and reduce erosion. However, since it is a legume with an extensive root structure and without natural enemies in the United States, it has adapted to the land too successfully. States like Georgia, Alabama and Mississippi are now invaded by kudzu which, at the present time, has no commercial outlet. 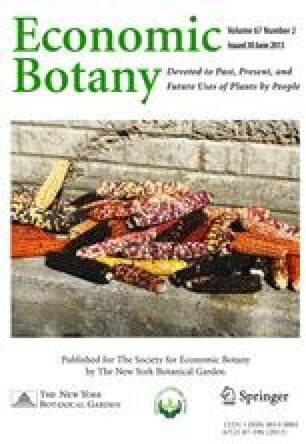 It is suggested in this paper that the plant be considered for several uses: the root starch as a source of carbohydrate and as a medium for yeast and ethanol production; the fiber for use in paper, in grass wallpaper, and in textiles and clothing; and the leaves for a high protein animal fodder. Preliminary experiments indicate that the root provides a vitamin enriched source of starch for ethanol and yeast fermentations. The vine can also be processed to expose the desired high tensile strength fiber for apparel use. A process is also proposed for removing the low concentration ethanol from a fermentation solution, which requires only a small fraction of the external energy required for the conventional distillation process. Paper presented, in part, at the 174th National Meeting, American Chemical Society, Division of Microbial and Biochemical Technology, Chicago, August 30, 1977.